Hi everyone! Welcome to Building Character. I’d like to introduce you to Nick, the main character in I LIVE IN A DOGHOUSE by Beverly Stowe McClure. Nick, can you tell us a little about you, please? Hey, I’m Nick Cassidy, eleven-years-old. I used to live with my mom, just the two of us and we got along fine. Then she married Jake, and I now have a stepsister that loves to call me gross names and a half-sister that likes for me to take her for walks in the stroller, and my life will never be the same. I’m living with a ten-year-old stepsister that hates me and an eighteen-month-old half-sister that loves me. Figure that one out. Family dynamics can be tough when you’ve grown up within them, but even tougher when you’re not used to them. Have you learned anything from this situation? One thing I’ve learned is that people are not always who we think they are and sometimes they’re a lot different than we remember them. Hopefully you get some sort of break from your new home life. What about a best friend? Tell us about him. Gus Oliver and I have been friends like forever. He has a cool sense of humor and is really smarter than people think he is. Best of all, he loves skateboarding as much as I do. Nothing like a loyal dog, huh? If you could change one thing in this world, what would you change? Parents would have to be honest with their kids. Never let a toddler out of you sight. They can disappear fast. Most of the time, you’ll find Beverly in front of her computer, writing the stories little voices whisper in her ear. Other times you’ll find her on long walks, snapping photos of wildlife and flowers. To some of her friends, she is affectionately known as the “Bug Lady” because she rescues butterflies, moths, walking sticks, and praying mantis from her cats. 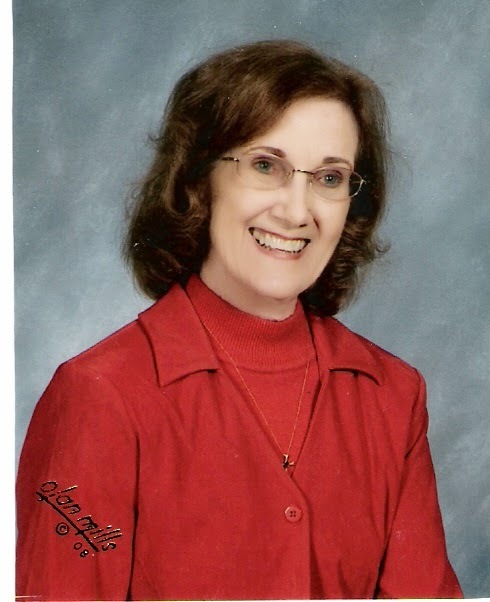 For twenty-two years, Beverly taught children in grades two through five how to read and write. They taught her patience. Now, she teaches a women’s Sunday school class at her church. To relax she plays the piano. Her cats don’t appreciate good music, and run and hide when she tickles the ivories. Beverly has several articles published in children’s magazines. Two of her stories have appeared in Chicken Soup for the Soul Anthologies. She also has twelve books published for children and teens and is the Gold Winner in the 2012 Children’s Literary Classics, and also the Silver Winner in the 2013 CLC, as well as other awards. 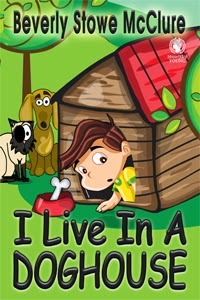 After you leave a nice note for Nick and Beverly, hop over to read my review of I LIVE IN A DOGHOUSE. Nick here. Thank you, Ms. Strand, for letting me tell my story today. You're the best. Beverly here. Thanks, Kai, for a fun interview. Glad to have you both here. I loved your story, Nick. It was fun to get to know you better. Nick is quite a character, Pat. Thanks for stopping by. What a terrific and fun interview! Congrats, Beverly. Thanks for stopping in, Karin. Thanks, Karin. Kai always does great interviews. He's a very patient dog, too. Thanks for visiting today, Lexa. Haha. He's quite a dog, Lexa. He has to be patient, Kai, with his mixed-up family. This sounds like a book that a lot of kids will relate to for sure! I have step-sisters, so I am sure it will make me think of when my family grew to include more people. I love Nick's dog's name. :) Best of luck to Beverly! I hope so, Jess. I had a half brother, but no steps. Accident's pretty cool. So is the cat. Great interview, Nick, & good words of wisdom. I think I'd like that book. Thanks for sharing Kai & Beverly. Watch that Nick now, you hear? Terrific interview of Nick and getting to know Beverly even better! Congratulations!